1 In the Custom CMYK dialog box, for Ink Colors, choose Custom. By default, the Ink Colors dialog box defines colors using the CIE coordinates of Y (lightness), x, and y values. 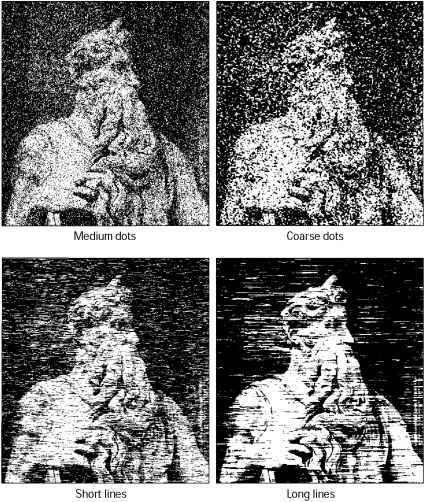 The default ink sets are calibrated for viewing conditions of 5000 K (when viewed under D50 lighting), 2° field of view. CIE coordinates are an international color definition standard supported by PostScript Level 2 and higher. Note: Colors appear slightly different based on how much of the eye's field of view they cover. The CIE has defined two standard ways of measuring color coordinates, one based on colors filling 10° of the eye's field of view, and one based on colors filling 2° of the field of view. Photoshop uses the 2° field of view standard. 2 If desired, select L*a*b Coordinates to enter the color box coordinates as Lab values rather than Yxy values. Use this option if your spectrophotometer only has Lab readouts. 3 Using your printed CMYK proof, take a reading of the color values using a spectrophotometer, and then enter those values in the appropriate text boxes. Alternatively, you can click the color box of the ink color you want to adjust and then adjust the color on-screen until it matches the patch on the color proof. Make sure that you are viewing the proof under the proper lighting conditions. 4 If desired, select Estimate Overprints to automatically estimate the overprint colors (MY, CY, CM, and CMY) using the CMYK and white values you entered. This is useful if you don't have a spectrophotometer.